Dr. Roberto Joseph was born in Brooklyn, New York, the first in his family of Haitian immigrants to attend college. He considers himself an African-Haitian American. As a product of the NYC public school system, he understands first hand the need to motivate and help youth achieve their potential. Furthermore, he is determined to develop methods for transforming education to better meet the needs of society. Dr. Joseph worked for five years as a high school mathematics teacher and computer coordinator in the New York City Public Schools. He holds a Bachelor of Science Degree in Mathematics from the City University of New York, Brooklyn College, and a Master of Science Degree in Instructional Technology from New York Institute of Technology. In June of 2003, he completed his PhD in Instructional Systems Technology from Indiana University. 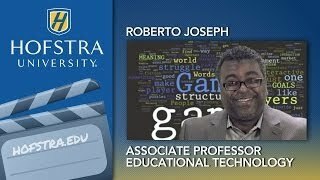 Dr. Joseph is an Assistant Professor of Teaching, Learning and Technology in Hofstra's School of Education. He is program director for the School of Education's Master of Arts in Technology for Learning. 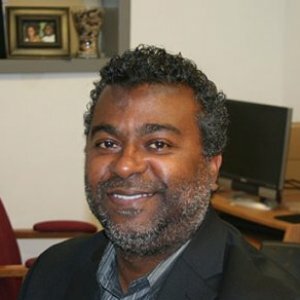 His primary research areas lie in culture in educational technologies and systemic change in education, on which he has published several articles. As a Gates Millennium Scholar, Dr. Joseph is committed to assisting schools create meaningful learning environments to answer the future needs of students and society. Dr. Joseph is the founder and CEO of CulturePlay, a "techspace" for Kids in grades K-12 that offers afterschool and summer programs to teach coding, game design, Minecraft, animation, 3D printing, film making, music making, java and python programming, and virtual reality. This multiyear grant supports the Teacher Opportunity Corps (TOC) program at Hofstra, directed by Dr. Joseph directs, which aims to increase the number of historically underrepresented and economically disadvantaged individuals in teaching careers. 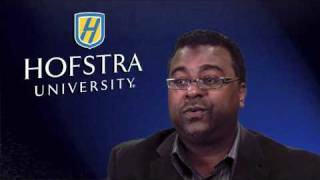 Motorola Solutions Foundation's Innovation Generation grant program supported Hofstra's MathApps Saturday Academy, a collaborative effort between Hofstra University and middle schools located in diverse communities on Long Island. Dr. Joseph's coding course featured in this article. Dr. Roberto Joseph, director of the MA program in Technology for Learning, was quoted in a recent Newsday article about Kellenberg Memorial High School’s move to create electronic textbooks for use on iPad. While a growing number of high schools are issuing iPads to students, Dr. Joseph said he was unaware of any other school districts on Long Island that had written their own digital textbooks. Abstract: Massive Open Online Courses (MOOCs) are a recent popular trend in the online learning landscape that has its roots in the ever expanding repertoire of Open Educational Resources (OER) and distance learning technologies. The term MOOC was coined in 2008 by Dave Cormier to describe the Connectivism and Connective Knowledge (CCK08) course and highlight the key characteristics of this new pedagogical model. Abstract: Learning Technologies (LT) are defined as a dynamic and emergent aggregation of Web tools, software applications, and mobile technologies that integrate the technological and pedagogical features and affordances of the Internet and its associated services and devices, to facilitate the design, development, delivery, and management of learning (Kitsantas and Dabbagh 2010). This brief describes the evolutionary and global impact of the techno-social transformation on learning technologies in terms of emerging pedagogical frameworks and applications. it provides examples of such applications in higher education, K-12, and the workplace, across the globe. The transformation and diffusion of ICT into an ever-present and accessible phenomenon is fundamentally shaping human activity and culture, changing human identity, and redefining globalization. Global activities have widened, intensified, ..